The EZAudio D4 is an IEM with a single 10mm dynamic driver that retails for $10.90 at the time of this review and will be on sale on 11/11/2018 for $7.99. The D4 is sold by the NiceHCK Audio Store on AliExpress. I purchased the D4 at a promotional price of $0.10 in exchange for this review. My thoughts about the D4 are my own and I will strive to review the D4 objectively. I have tested these headphones with Spotify Premium high-quality streaming, Google Play Music streaming at 320kbps, and local FLAC. The EZAudio D4 comes in a simple rectangular white paper box with the manufacturer’s logo in blue on the front. The text on the box is mostly in Chinese, but lists the model, frequency range, interconnect type, driver size, and impedance in Roman characters. Inside this box is a EZAudio-branded semi-rigid zippered carry case containing the IEMs, a carabiner, and the eartip selection. For an $11 IEM the case is very high quality and seems identical to the case from the NICEHCK EP35 apart from the branding. The EZAudio D4 comes with one set of eartips (black silicone [Small, Medium, Large]. The D4’s housing design is a clone of the NuForce NE-700M, with barrel-shaped metal housings and short circular nozzles. The nozzles are covered by metal mesh and have a sizable lip to prevent eartips from coming off. The metal housings have a plastic ring around their circumference from which the cable exits on each earpiece. The cable is smooth and rubbery down to the Y-split, then fabric-covered down to the L-shaped 3.5mm jack. The right earpiece wire has a mic. The cable has a choker that comes up from the Y-split up to the bottom of the mic on the right earpiece cable. The metal housings polished metal with plastic on the ear-facing surface. The D4 has a single vent for the dynamic driver on the exterior faceplate. I have experienced driver flex with the D4 while inserting the IEMs deeply into my ears, which is hard to do without covering this vent. When worn cable-down the D4 has very shallow insertion depth because the housings are so short that the wires catch against the antitragus of the ear. 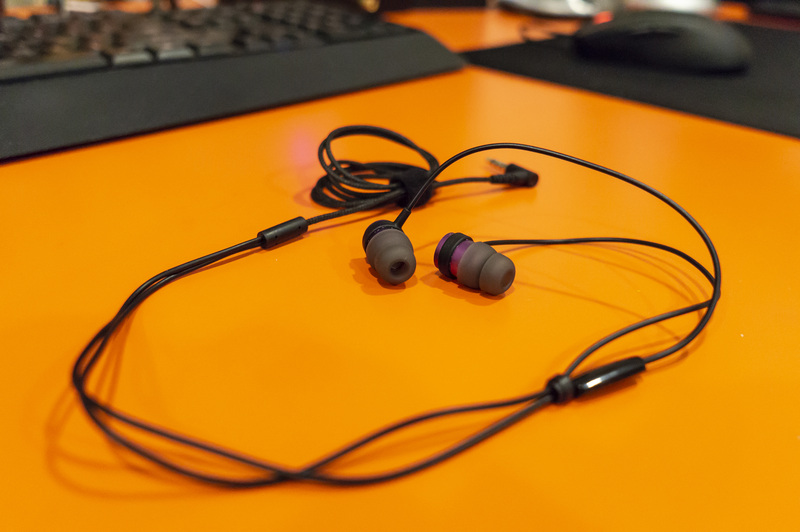 The included eartips are essentially useless when the D4 is worn cable-down because the fit is so shallow. I found wearing the D4 cable-up allowed for increased insertion depth and much better seal, even with the stock eartips. However, I highly recommend third-party dual- or triple-flange eartips with the D4. Isolation is above average when worn cable-up but below average when worn cable-down. 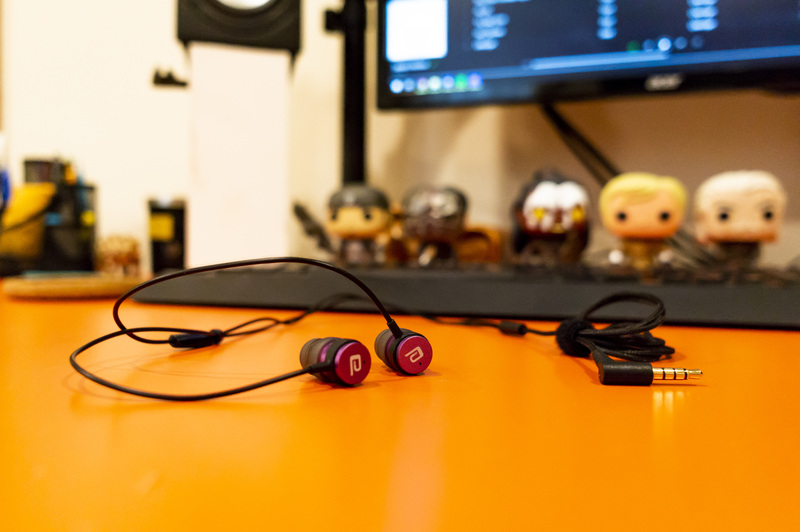 The diameter of the barrel housings is short enough that the D4 is very comfortable worn either cable-up or cable-down. 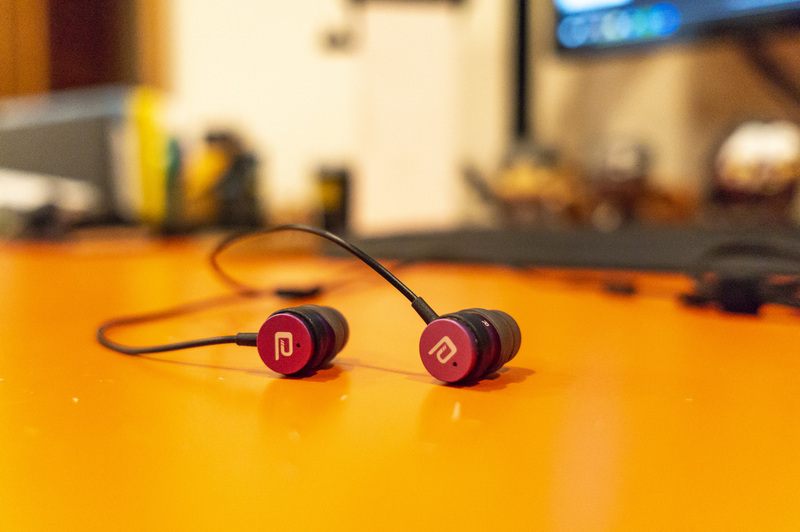 The EZAudio D4s have an overall bright sound signature with a lifted upper midrange. With a good seal the D4 has a restrained but authoritative bass response with excellent sub-bass extension. Bass is surprisingly textured for this price point. There is a good amount of mid-bass slam with fast decay. Edit: Measurements by myself and others show a sizable channel imbalance in the bass region which is likely due to poor QC with regards to ensuring consistent bass vent size and shape. This is correctable. 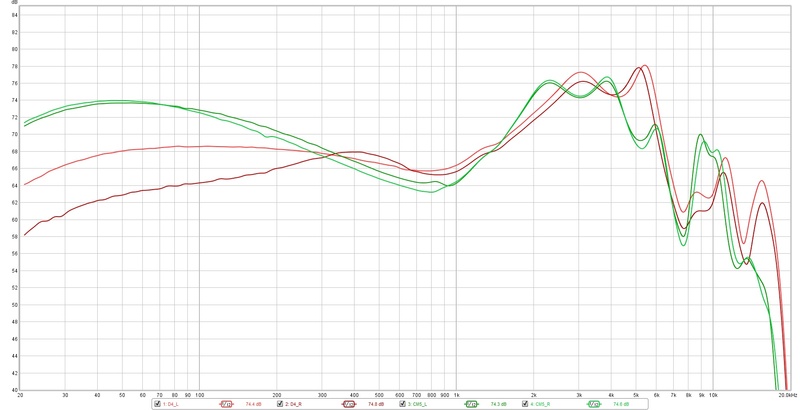 Lower mids are slightly recessed compared to the bass but male vocals are adequately clear despite some bass bleed. There is a gradual rise from 1k to just past 5k which gives the D4 a lot of presence. The upper midrange can be a bit harsh and overbearing with female vocals, and there is some sibilance. Treble is recessed compared to the upper midrange but does not begin to roll off dramatically until past 15k. Lower treble is a little grainy. There is a good amount of energy in the 10-12k region which adds sparkle. Soundstage width and depth are average. Instrument separation is well above average for this price point. My measurements were conducted with a Dayton iMM-6 microphone using a vinyl tubing coupler. The mic cal file is designed to be used with a 9k resonance peak, however, for the sake of consistency I have conducted all my measurements at the same insertion depth using foam eartips, so there may be a dip at 9k that is not actually there. The UiiSii CM5 is a $16 IEM with a single graphene-sprayed dynamic driver. The CM5 is significantly more V-shaped than the D4, with much more bass quantity and a more elevated lower treble. The CM5 has better bass texture and more mid-bass slam. The D4 sounds airier. The CM5 is less harsh sounding than the D4 at higher volumes and is less sibilant. The D4 has better instrument separation. The CM5 has a slightly larger soundstage. The Mixcder X5 is a $12 IEM with a single dynamic driver. 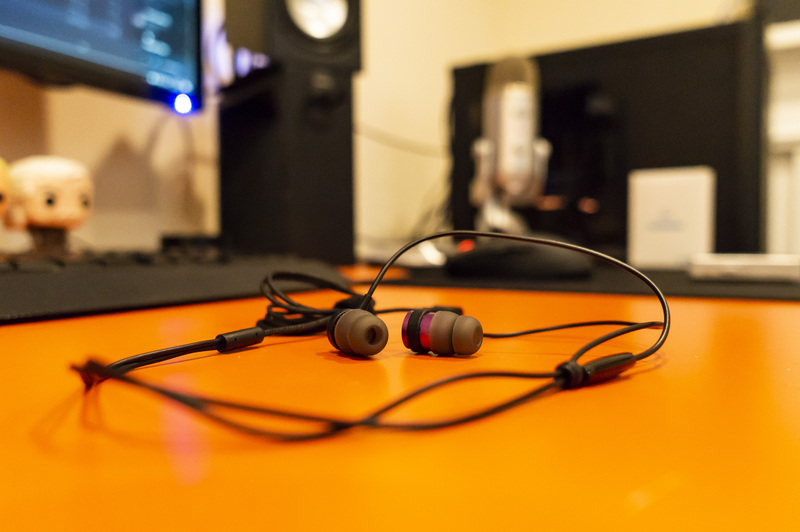 The X5 is a significantly warmer IEM with less upper midrange presence. The D4 has better bass articulation. The bass on the X5 sounds muddy in comparison. The D4 sounds airier. 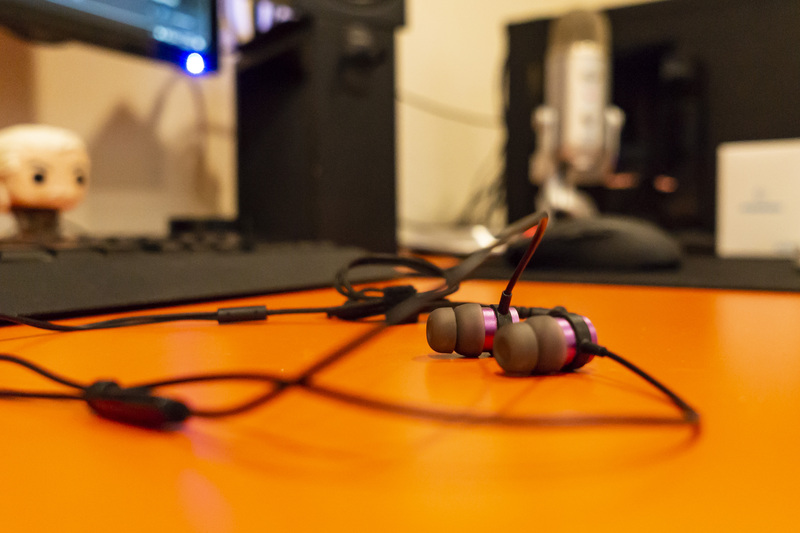 The X5 is more relaxed sounding overall. The X5 is less harsh sounding than the D4 at higher volumes and is less sibilant. The D4 has better instrument separation. The X5 has a slightly larger soundstage. 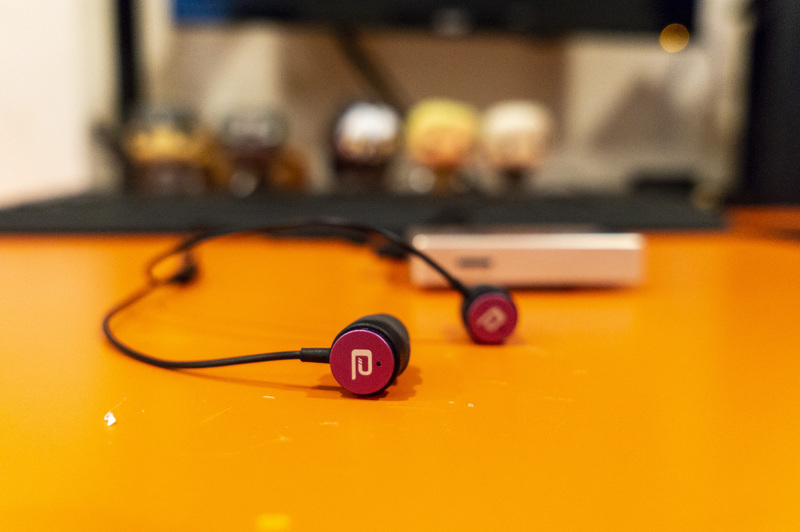 The Fiio F1 is a $10 IEM with a single dynamic driver. The F1 has more bass quantity but sounds muddy in comparison to the D4, with worse articulation and texture. The F1’s lower midrange is even more recessed than the D4s. 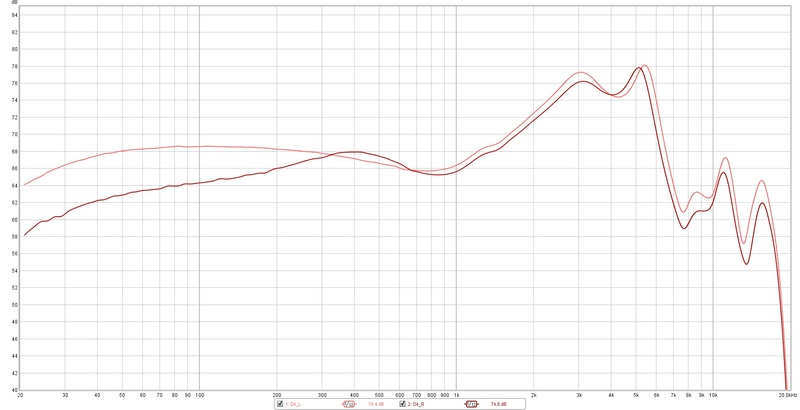 The F1 has a weird peak at about 1.8k that makes the midrange sound shouty. The F1 has a much more rolled off treble and sounds less detailed. The D4 sounds airier. The F1 is less sibilant. The D4 has better instrument separation. They have similar soundstage sizes. Not a fair comparison given the price differential but given how similar their frequency responses are I feel justified in describing the D4 as a poor man’s P1. The P1 is more resolving overall, with a more detailed treble region and a slightly more restrained upper midrange. The P1 has a larger soundstage and better instrument separation. At an impedance of 32 ohms and a sensitivity of 99dB, the D4 can be adequately driven by a smartphone. I do not feel that they benefit noticeably from having more power on tap. I did not notice any hiss with the D4. The EZAudio D4 is astonishing for the price. Highly recommended. You can purchase the D4 here.